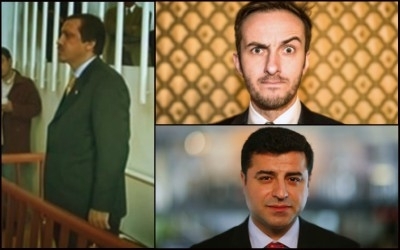 President Recep Tayyip Erdogan, himself jailed in 1999 for reading an extremist poem (left), is suing German comedian Jan Bohmermann (top right) over an insulting satirical poem. A poem written by Selahattin Demirtaş (bottom right) was reportedly banned early this month. A poem written by Selahattin Demirtaş, the co-chair of the opposition Pro-Kurdish Peoples' Democratic Party (HDP), was recently banned by the prosecutor's office in the city of Mardin because it contained "terrorist propaganda." The government's hostility to poems that challenge its official ideology is a long-held tradition in Turkey. ... The Turkish Republic was founded in 1923 and governed by the Republican People's Party (CHP) until the first free national elections were held in 1950, as a result of which the Democrat Party (DP) came into power. Although both parties were rivals, they had a lot in common, such as their intolerance of dissent and free exchange of ideas. The history of Turkey is filled with many examples of banning poems, removing poetry books from the marketplace, and jailing poets. Here are some of the poets who were prosecuted and persecuted for their literary work. When the issue of jailed or exiled poets in Turkey is discussed, one of the first that comes to one's mind is Nazım Hikmet (born 1902, Salonika, Ottoman Empire [now Thessaloníki, Greece]—died 1963, Moscow), who was one of the most influential figures in 20th century Turkish literature. The history of Turkey is filled with many examples of banning poems and jailing poets. In 1946, Nedim Veysel İlkin, then-director of the press, submitted a petition to the council of ministers which had an interesting demand: the banning of the poetry book titled Rüzgarlarım Konuşuyor (My Winds Speak) by the poet, actor, and novelist, Cahit Irgat (1915-1971). The poem, after which the book is named, was about the destruction caused by World War II. ... "The collection Rüzgarlarım Konuşuyor occasioned Irgat's arrest and imprisonment for three months in 1947," writes Louis Mitler in his book Contemporary Turkish Writers: A Critical Bio-bibliography of Leading Writers in the Turkish Republican Period Up to 1980. "Five years later, Ortalık [Environment] was taken off the market by judicial order and an investigation was opened concerning the ideological content of the work." Criticism of the military or wars has been unacceptable, even when made by members or students of the Turkish military. AbdulKadir Meriçboyu (1917-1985), who graduated from Kuleli Military High School in 1936, was a prolific poet and translator. Contrary to the state ideology in Turkey, he opposed provocation of wars. And for that, he led a difficult life filled with detentions, trials, and exile. According to the website of the Turkish Ministry of Culture, when Meriçboyu was a senior student at the Turkish Military Academy, he was charged with engaging in political activities, sentenced to 10 years in prison and was dismissed from the school in 1938. "Later, he worked for the newspaper Tan as a proofreader and entered the Faculty of Law; however, when his first poetry book Tebliğ (Notification, 1943) was confiscated, he could not finish his studies as he was exiled from İstanbul. He was sent to exile in Muğla, Balıkesir, Konya, Kırşehir, and Adana," writes Mitler. In his first poetry book, Tebliğ (Notification), he described the consequences of war in a realistic way. The main themes of his second book, Hoş Geldin Halil İbrahim (Welcome Halil İbrahim, 1959), were exile and the yearning for home during exile. When I was a student at the Sivas teaching school, they [the police], during my last detention, seized a long poem I wrote about the train's first arriving in that city. As the poem was found to be against the train policy of Ismet Pasa, the Prime Minister of the time, I was sentenced to four years in jail by the heavy penal court of Ankara upon 'an order from above.' The only copy of the poem that was found by the police was given to Ismet Pasa. After that, my poem has disappeared. The magazine Yeni Edebiyat (New Literature) was closed down because of his poem "Vatan Şarkısı" (The Song of the Homeland) and he was sentenced to a year in prison by a military court in 1942 because of the poem. He was subject to prosecution and persecution for long years to come. "Because of his [Dinamo's] several writings, he was sentenced to seven years in prison and was tortured. He then fled Turkey when he realized he could get killed," according to Akbıyık. The underlying reasons of his depression were political pressures, monetary problems, unfaithful friends and the society's prejudiced view of him... His poems were about freedom, anti-fascism, poverty, longing, loneliness, peace, and his opposition to wars... Dinamo was able to publish the poems he wrote in 1940s only after 1960. However, many of his literary works got "lost" or were purged. "His thousands of poems and dozens of novels went missing either during police raids or his years of exile," writes journalist Ömer Turan. 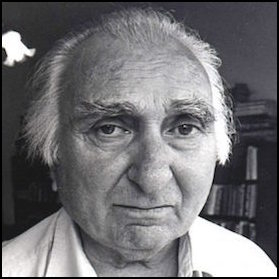 Playwright, novelist, and poet Rıfat Ilgaz (1911-1993) was also subject to prosecution and persecution in Turkey as he gained much success and popularity for his work. "Ilgaz's teaching career was interrupted in 1944 when his collection of poetry Sınıf [Class] was removed from circulation and he was sentenced to six months imprisonment by a military tribunal," writes Louis Mitler. "Another collection of poetry, Yaşadıkça, [As One Lives] was removed from the marketplace in 1948, as was the anthology entitled Devam [Continuation] in 1953. Ilgaz was incarcerated for a total of five years, five months and twenty-five days for his publications." For a poet to get prosecuted in Turkey, he or she does not have to write about wars, killings, or poverty. Any poet—or author, for that matter—who writes about topics that state authorities could find "dangerous" or "threatening" could be targeted by the government or courts. Or maybe your hands smell of onions. And your body deteriorates as you give birth to more children. The prosecutor thought that "the poem could shatter the existence of families and the foundation of establishing families as well as the women's mental inclination to become mothers. It also openly suggests to women not to give birth to children so it is against the 41th article of the Press Law." ... He was eventually acquitted and avoided a possible prison sentence. His first poem 'Edirne'de Akşam' [Evening in Edirne] was published in the magazine Yeni İnsanlık [New Humanity] in 1940. He was arrested for 'being a member of a secret organization' after his poem 'Dayanılmaz' [Unendurable] was published in the magazine Yeryüzü [the Earth] on Nov. 15, 1951. He was jailed for two years and then released for lack of evidence. His poetry book Günden Güne [From Day to Day] was removed from circulation on Jan 22, 1957, and he was acquitted at the end of the trial... In 1969, he founded and ran the Yeryüzü Bookstore in Suadiye. He was detained on July 6, 1982 for 'possessing banned publications' and was sentenced to three months in prison. "When the poetry book Günden Güne [From Day to Day] by Damar was confiscated in 1957, bans on other poetry books followed," according to the journalist Semiha Şentürk. Three weeks later, the poetry book Yan Yana [Side by Side] by Melih Cevdet Anday was banned. Only 48 hours later, the poetry book Giderayak [At the Last Moment] by Şükran Kurdakul was banned. And 42 days later, Metin Eloğlu's Sultan Palamut [Sultan Acorn] was included in the black list." Sometimes it took decades for the regime to notice the "danger" in certain literary work. 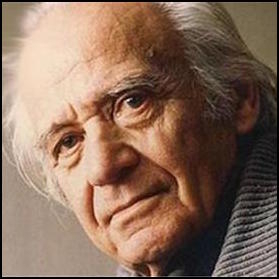 Ercüment Behzat Lav, (1903 – 1984), a leading poet of new Turkish poetry, stage actor, and film actor, for example, was also exposed to state censorship. His 1931 poetry book S.O.S was banned and removed from circulation in 1965. The Sept. 12, 1980 coup d'état was a period when human rights and free expression were completely crushed by the Turkish military. ... 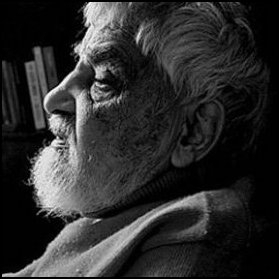 Among the many books that were banned was the poetry books by the poet Yaşar Miraç, whose work is mainly about political and social topics such as democracy, peace, exile, and homesickness. Miraç was acquitted at the end of the trials but his books remained banned for seven years. Today, the government's treatment of dissident literary figures and journalists is still the same. Arrests of authors, as well as censorship or bans on literary work critical of the status quo, is state policy for all seasons in Turkey.